From New York Times bestselling author and literary phenomenon V.C. Andrews (Flowers in the Attic, My Sweet Audrina) comes a gripping and suspenseful psychological thriller about a stalker hell-bent on destroying a young woman's life. Pru Dunning has everything she ever wanted: a... read full description below. From New York Times bestselling author and literary phenomenon V.C. 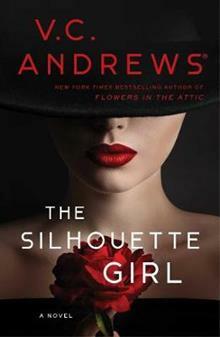 Andrews (Flowers in the Attic, My Sweet Audrina) comes a gripping and suspenseful psychological thriller about a stalker hell-bent on destroying a young woman's life. Pru Dunning has everything she ever wanted: a successful boyfriend, a thriving nursing career, and a truly comfortable life. But then the strange voicemails start. Scarletta, the woman calls herself. She seems to know Pru, although Pru certainly doesn't know that name, nor does she recognize the glamorous voice leaving her poisonous messages. Is this the work of jealous revenge from someone at work? An old enemy she has forgotten about? Pru begins to investigate, but carefully--if anyone found out about these lewd, threatening messages, filled with details that no stranger could possibly know, they might suspect that she is something other than an innocent victim. But when she suddenly becomes a person of interest in a murder case, it feels like Scarletta's toxic voice, lashing out from the shadows, will silence all beauty in Pru's perfect life, once and for all.